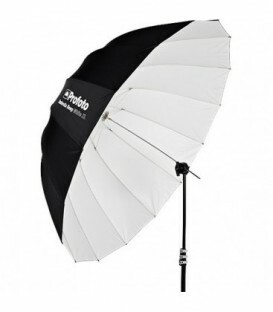 Especially popular with fashion shooters, the Profoto Giant Umbrella is a unique 7 light shaper thats eminently portable and easy to set up and break down. This white version is ideal in situations that require maximum softness without hot spots with a neutral color rendition. Especially popular with fashion shooters, the Profoto Giant Umbrella is a unique 7 light shaper thats eminently portable and easy to set up and break down. 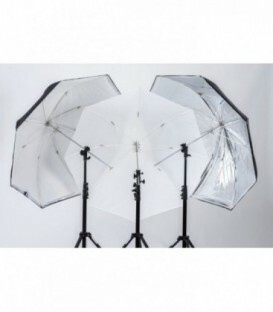 This silver version is especially valuable in long throw situations or for subjects requiring a crisp and punchy quality of light. 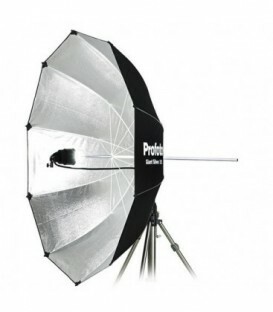 Especially popular with fashion shooters, the Profoto Giant Parabolic Reflector is a unique light shaper that is frequently called an umbrella but it is quite a different thing. 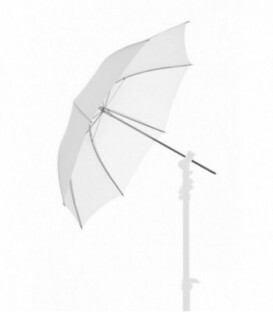 A parabolic umbrella has many more support spokes to make the source truly round, which works in conjunction with the key design factor of depth. 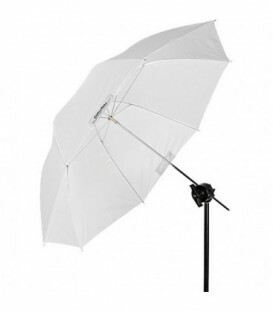 The small, 33" Shallow White Umbrella from Profoto provides a soft white surface for bouncing flattering light onto your subject. It is made of heat-resistant materials and the metal elements are surface-treated to prevent rust and discoloration. 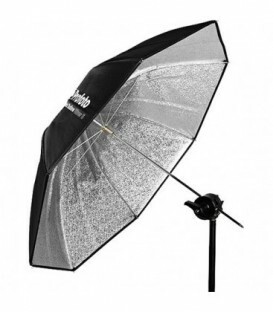 The small, 33" Shallow Silver Umbrella from Profoto provides a highly reflective silver surface for creating crisp details in your images. It is made of heat-resistant materials and the metal elements are surface treated to prevent rust and discoloration. 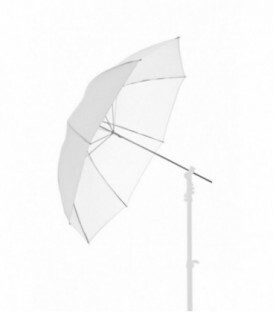 The small, 33" Shallow Translucent Umbrella from Profoto features a translucent design that allows light to pass through it. 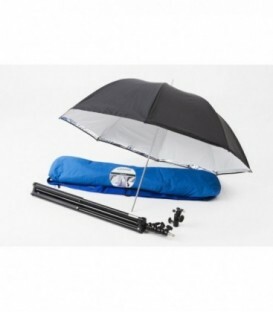 This diffuses the light and creates soft shadows. It is made of heat-resistant materials and the metal elements are surface treated to prevent rust and discoloration. 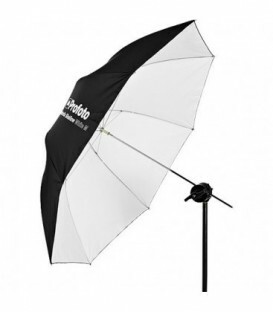 The medium, 41" Shallow White Umbrella from Profoto provides a soft white surface for bouncing flattering light onto your subject. 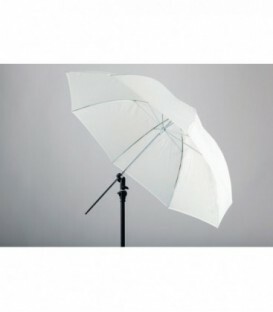 It is made of heat-resistant materials and the metal elements are surface-treated to prevent rust and discoloration. 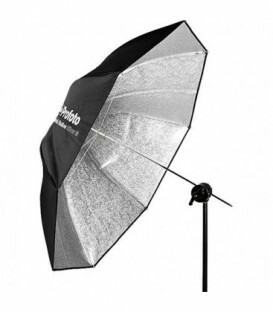 The medium, 41" Shallow Silver Umbrella from Profoto provides a highly reflective silver surface for creating crisp details in your images. It is made of heat-resistant materials and the metal elements are surface treated to prevent rust and discoloration. 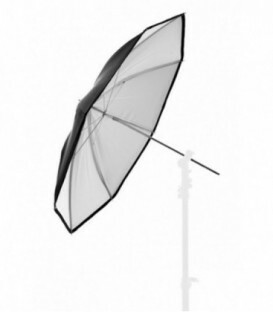 The medium, 41" Shallow Translucent Umbrella from Profoto features a translucent design that allows light to pass through it. 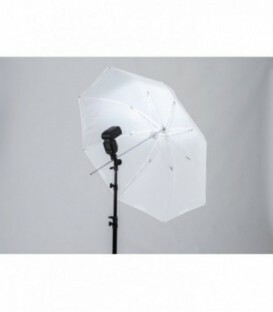 This diffuses the light and creates soft shadows. It is made of heat-resistant materials and the metal elements are surface treated to prevent rust and discoloration. 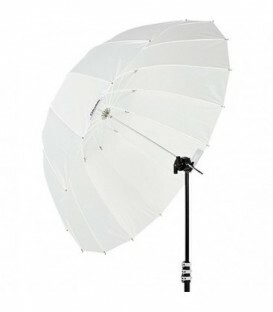 The 51" large Deep White Umbrella from Profoto has a soft white interior that helps produce even, diffuse light with soft shadows. 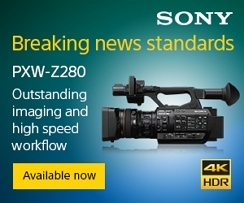 The increased depth of this model allows for more precise control over the spread of the light. 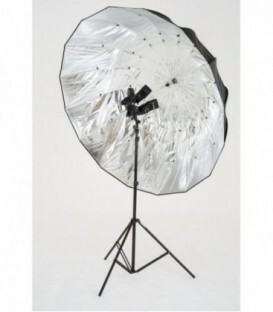 Also, it features 16 fiberglass rods for a rounder shape and more even light spread. 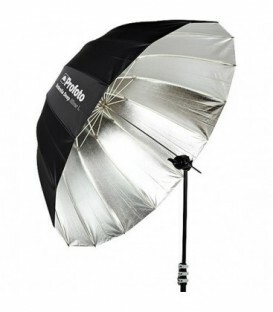 The 51" large Deep Silver Umbrella from Profoto has a highly reflective silver interior, ideal for producing soft shadows with crisp details. The increased depth of this model allows for more precise control over the spread of the light. 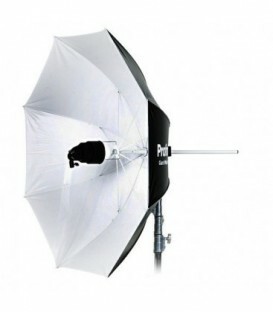 The 51" large Deep Translucent Umbrella from Profoto has a translucent design, allowing light to pass through it and create a diffuse light with very soft shadows. 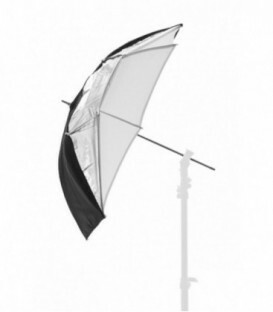 The increased depth of this model allows for more precise control over the spread of the light. 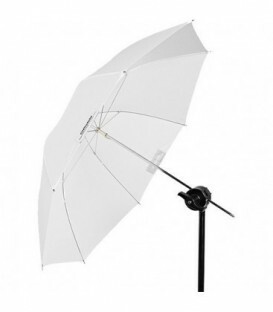 The 65" extra large Deep White Umbrella from Profoto has a soft white interior that helps produce even, diffuse light with soft shadows. The increased depth of this model allows for more precise control over the spread of the light. 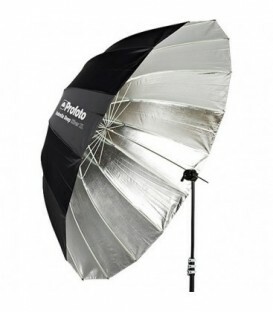 The 65" extra large Deep Silver Umbrella from Profoto has a highly reflective silver interior, ideal for producing soft shadows with crisp details. 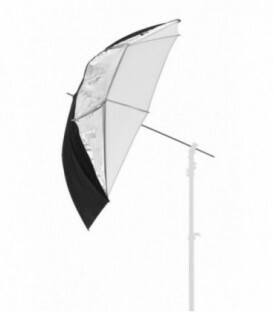 The increased depth of this model allows for more precise control over the spread of the light.